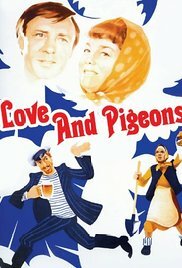 While staying at the sea resort, Vasily, a simple man from country-side, meets a corrupted city woman (Lyudmila Gurchenko), who lures away a man of the country (Alexander Mikhailov), indulging him in fantasies of urban comfort. While living at her city apartment, the man starts missing his family and eventually decides to return to his native village, where his wife and children miss him too. Read more on Wikipedia.